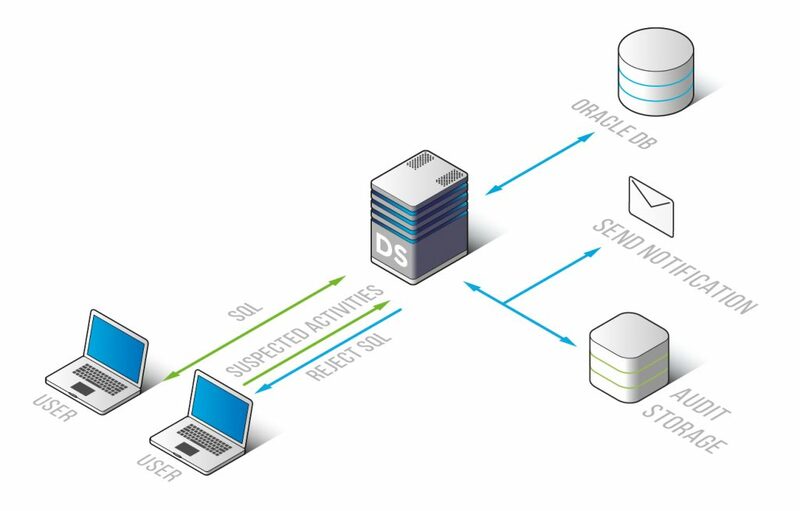 DataSunrise Database Firewall for Oracle database guarantees the maximum level of security against SQL injection attacks, unauthorized access, and data breach attempts. The tool enables Oracle users to reveal software vulnerabilities and eliminate them in time. It constantly analyzes traffic and checks queries against security rules. It also accurately controls access privileges and allows only authorized queries to reach the database. Oracle database is well-known for its reliability, still its built-in security remains pretty basic. It requires a powerful Oracle-oriented solution for continuous protection. Oracle firewall by DataSunrise is a multifunctional data security solution designed to protect development, production, and test databases. It performs continuous monitoring of incoming and outgoing traffic and accurately detects and blocks all types of unauthorized activity. DataSunrise Database Firewall resides between a database and clients performing the function of an inspection point, which filters traffic and intercepts communication that doesn't match security policies. It has the most common integrated attack patterns to detect and confront targeted hacker attacks. We update our list of signatures on a regular basis to keep abreast with the latest hacking methods. Moreover, security rule settings include the possibility of blocking transactions of specified groups of database users, applications, hostnames, etc. You can also configure penalties for the parameters of SQL injection detection. After blocking the malicious query, DataSunrise Database Firewall for Oracle disconnects the user that sent the query or closes its session. Building an Oracle database security perimeter begins with enabling the DataSunrise learning mode, in which the firewall analyzes the network traffic to identify common transaction patterns for the particular environment. The list of transactions can be used further for allowing only the SQL queries from the whitelist. Apart from filtering external transactions DataSunrise Security Suite for Oracle is a helpful tool for managing user privileges, allowing to grant select/edit/delete privileges on a need to know basis. Separation of duties is very important for large corporations with thousands of employees as the majority of investigated data breach issues lead to unintentional or determined actions of insiders. Security rule settings are designed to be maximally scalable, user-friendly and interactive. If you spend a little time to properly configure database firewall rules, it will save a lot of time for DBAs and security managers by automating essential procedures of maintaining Oracle database security. You can add subscribers to each rule to receive notifications whenever there is a violation of privacy policies or a certain type of an SQL query is made. SQL injection vulnerabilities are the most common culprits of data breaches in Oracle databases. Firewall by DataSunrise detects and blocks the following types of SQL injections: Boolean Exploitation Technique, Time delay Exploitation technique, Union Exploitation Technique, Automated Exploitation, Out of Band Exploitation Technique. 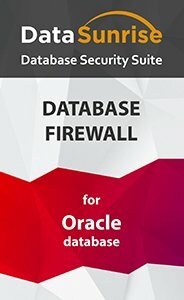 DataSunrise Database Firewall for Oracle databases is a reliable tool that helps to comply with regulations and protects the database from unauthorized access and SQL injection attacks. Try now for free or contact us to request a demo.